If you’re popping over from the DSF e-mail blast of “The Key To El-Carim’s Heart” scheduled for Monday 2nd December — welcome! If you’re not — welcome anyway! As mentioned in the story notes, “El-Carim” was inspired in part by my recollection of a film I saw as a child, “Captain Sindbad“. I haven’t seen it since, but I do still remember the seemingly impregnable tower with the villain’s heart locked in a chest. As it turns out, the villain in question was actually called “El Kerim”, so in one sense the name of my narrator and the title of the story is based on a badly researched Wikipedia entry (tip: don’t believe everything you read on the Internet, kids). Never mind, there’s not much else in common with the film apart from that central image of the heartless villain attempting to defy death itself. 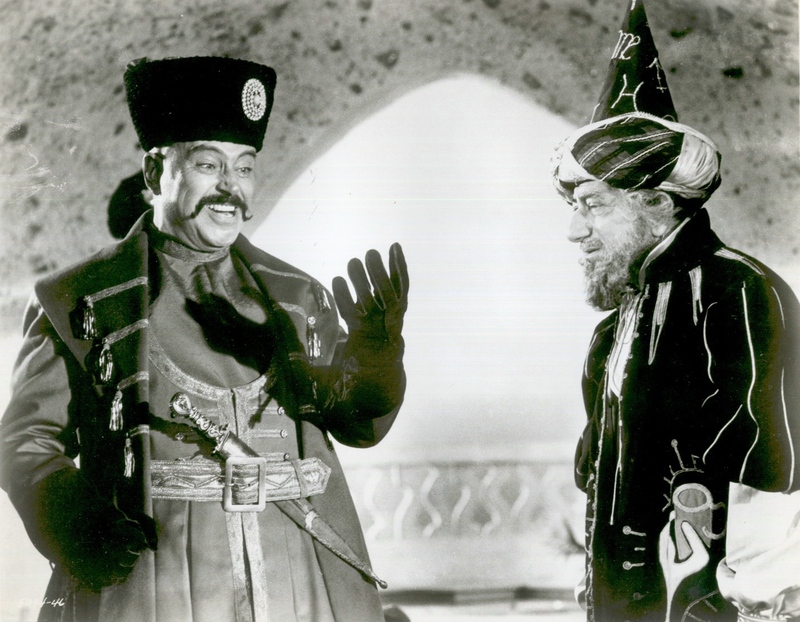 Pedro Armedariz (left) as “El Kerim” (Captain Sindbad 1963) is pleased by the work of his cryptographic wizards. Some beta-readers questioned the viability of a cryptographic key stored not as a computer file but printed on paper or parchment. Believe me — it’s been done, even if it’s not necessarily the most convenient method of storage or distribution. “Carim” is a rather dark story, and that also was another issue some readers had, indeed I questioned it myself. Hopefully it will serve to remind us all to take more care of our precious keys.